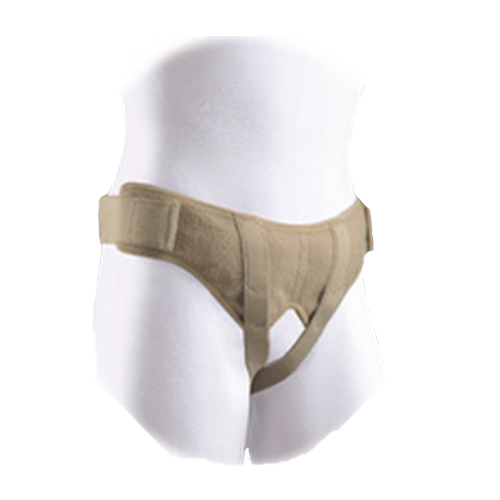 The Soft Form Hernia Belt provides gentle relief from reducible inguinal hernia. The removable foam compression pads give gentle, gradual pressure to help reduce inguinal hernias (single or double). Its lightweight material includes a plush elastic waistband and soft elastic perineal straps. It is completely adjustable without the use of uncomfortable metal snaps or buckles and has a simple hook and loop closure to allow adjustability and control how tight the belt fits. The belt hides well under clothing. Is there an available product here in Hong Kong? We are not aware nor do we have any areas in Hong Kong that we ship to. We can; however, ship overseas to any country.